When it comes to bitcoin mining, Canada is a natural. 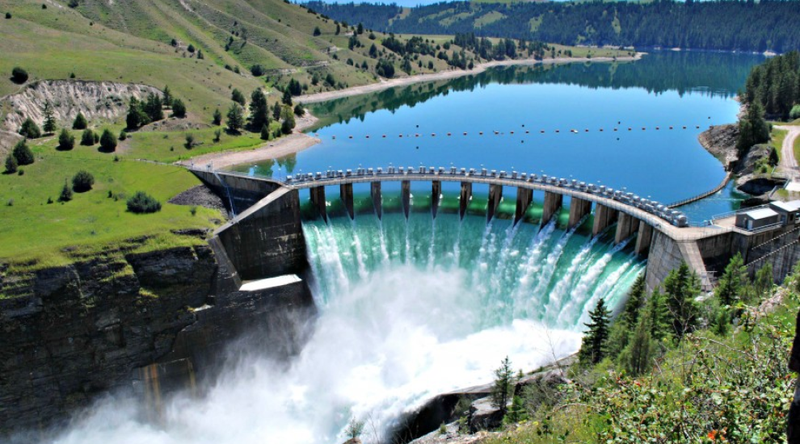 A temperate climate helps to keep mining equipment cool, and plentiful renewable energy from hydroelectric dams gives Canadian provinces like British Columbia a natural advantage with cheaper electricity costs. B.C. is sitting on a large surplus of hydroelectric energy, as depleted resources have resulted in the closures of many pulp and paper mills and traditional mines. The power surplus is also a result of the success of alternative energy and energy conservation initiatives. Consequently, the B.C. government’s energy arm, BC Hydro, is actively looking for new businesses, including bitcoin miners, to take up the slack and help revive stricken resource towns, and it has proposed a discounted energy rate as an incentive. BC Hydro, a B.C. government Crown corporation, is a leader in green energy programs in Canada. Scott Howard, CEO of Toronto-based Full Stack Capital, told Bitcoin Magazine that he is encouraged by the B.C. proposal and that the province is a leader in alternative and green energy programs. BC Hydro’s business development manager, Dina Matterson, said at an energy conference recently that half of the new inquiries the Crown corporation is getting are from the crypto-mining industry, and it is estimated that the inquiries could drum up 5,000 megawatts in new energy demand. Matterson said they will be submitting a proposal in early 2019 to the British Columbia Utilities Commission, which regulates BC Hydro, for a “load attraction rate,” an initial discount on electricity for new corporate customers, including cryptocurrency companies. The B.C. government hopes to connect the lumber, pulp and paper, and traditional mining companies, which have invested in generating substations and transmission lines, with new bitcoin mining startups that would rent these power utilities at reduced rates. For example, bitcoin miners in Ocean Falls, B.C., are successfully using previously abandoned power-generating stations and transmission lines, and a new bitcoin mine is under development in Houston, B.C., a once-thriving lumber town. To date, BC Hydro has provided bitcoin miners with six megawatts of power, although the utility believes there are many more crypto miners operating in the province. B.C.’s attempt to lure cryptocurrency entrepreneurs to make use of its abandoned infrastructure and surplus power resonates with global trends that signal an uptick in cryptocurrency mining. A recent report from the University of Cambridge Centre for Alternative Finance flagged the exponential increase in crypto-mining operations around the world in 2018. China remains the top country to host mining farms, but the U.S. and Canada have witnessed a rapid growth of mining-farm openings over the past year, often associated with the availability of cheap hydroelectric power, says the report.